Give the gift of movies! Regal is taking movies to a whole new level with luxury recliners and immersive experiences like IMAX©, RPX, 4DX, and ScreenX. 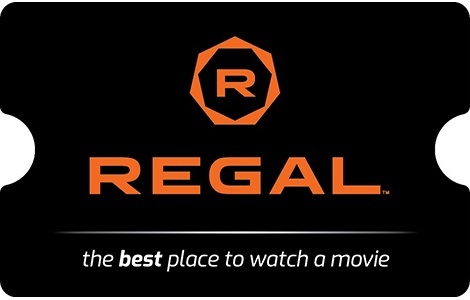 With a Regal Gift card, your friends, family, and loved ones get instant access to go see the movies they’re most excited for on the big screen. National Gift Card is the best place for you to order Regal Entertainment gift cards in bulk. We are the experts in all things gift cards and can set up your gift card solutions program for you today. Please contact us for more information on Regal Entertainment bulk, direct-to-recipient, or individual gift card fulfillment for your gift card program. Contact us online or call us at 888-472-8747 today!